FORT WORTH, Texas – The Davey O’Brien Foundation today announced that Raymar Turangan of The Colony High School is the winner of the 30th annual Davey O’Brien High School Scholarship Award. 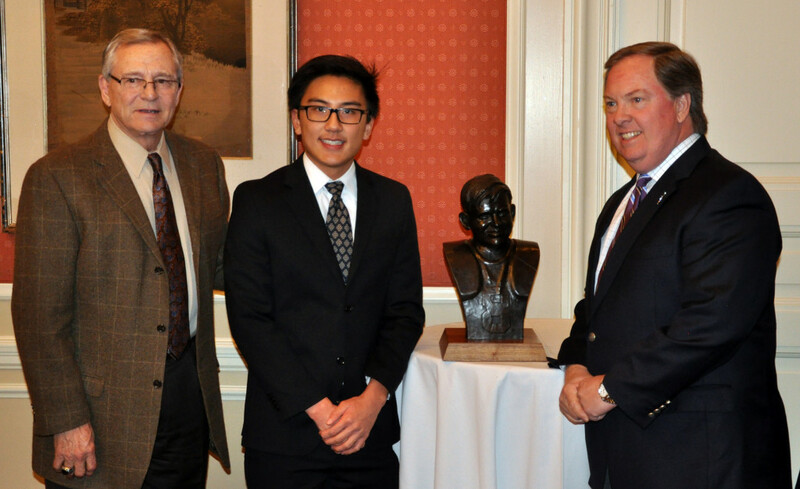 The $30,000 scholarship, partially underwritten by Higginbotham and Southwest Bank, was awarded during the Foundation’s High School Scholarship Luncheon at The Fort Worth Club. Recipients of the Davey O’Brien High School Scholarship are chosen on the basis of scholastic achievements, community service, character, leadership and varsity sports participation. At The Colony, Turangan ranks second in a class of nearly 500 students with a 5.17 grade-point average on a weighted 4.0 scale. He is also a National Merit Semifinalist and an AP Scholar with Distinction. The vice president of his senior class, he co-founded the school’s Hispanic Mentorship Program and Peer Tutoring Group. In addition, he was awarded the Volunteer of the Year Award at Baylor Medical Center in Carrollton. An Eagle Scout, he also is an accomplished competitive pianist. In athletics, Turangan has lettered in swimming and has served as a team captain. A district medalist in the 400-meter freestyle relay, he also was a multi-time regional finalist in the 100-meter backstroke and 400m freestyle relay. Since its inception in 1977, the Davey O’Brien Foundation has given away nearly $1 million in scholarships and university grants to help high school and college athletes transform leadership on the field to leadership in life. The High School Scholarship, first awarded in 1986, applies to the college or university of the winner’s choice. Winners over the past decade have attended Columbia University, Harvard University, Johns Hopkins University, Massachusetts Institute of Technology, Princeton University, Rice University, Stanford University, Texas A&M University, Vanderbilt University and Yale University. The Foundation will also award a $2,500 scholarship to each of the four other finalists–William Caldwell (St. Mark’s School of Texas), Sage McAdams (Plano West High School), Savannah Norman (Fort Worth Country Day) and Seth Reine (Arlington Martin High School). As part of the selection process, the committee, which consists of O’Brien Jr., Karen Anisman, Todd Blouin, Rob Kelly, Roger Latham, Walter Littlejohn, Pollard Rogers and Joel Sharp, conducted in-person interviews with all five finalists. Turangan will be honored Monday, Feb. 15, at the 39th annual Davey O’Brien Awards Dinner. 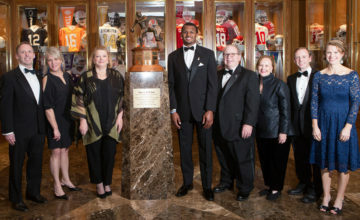 Also in attendance will be Davey O’Brien National Quarterback Award winner Deshaun Watson, Davey O’Brien Legends Award presented by Low T Center recipient Craig Morton and Charles Ringler Founder’s Award honoree Verne Lundquist. 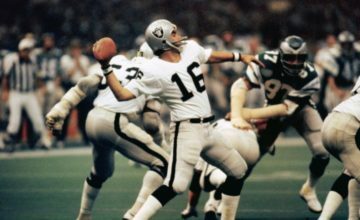 The Davey O’Brien Foundation was founded in 1977 to honor and remember the strong character and leadership of football great, Davey O’Brien. 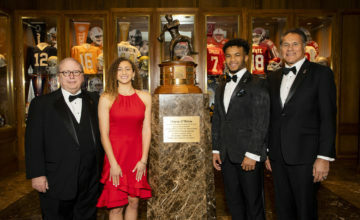 Widely known for its Davey O’Brien National Quarterback Award, the Foundation recognizes champions on and off the field through awards programs encouraging academic and career success. The Foundation has given away nearly $1 million in scholarships and university grants to help high school and college athletes transform leadership on the field to leadership in life. For more information, visit www.DaveyOBrien.org.